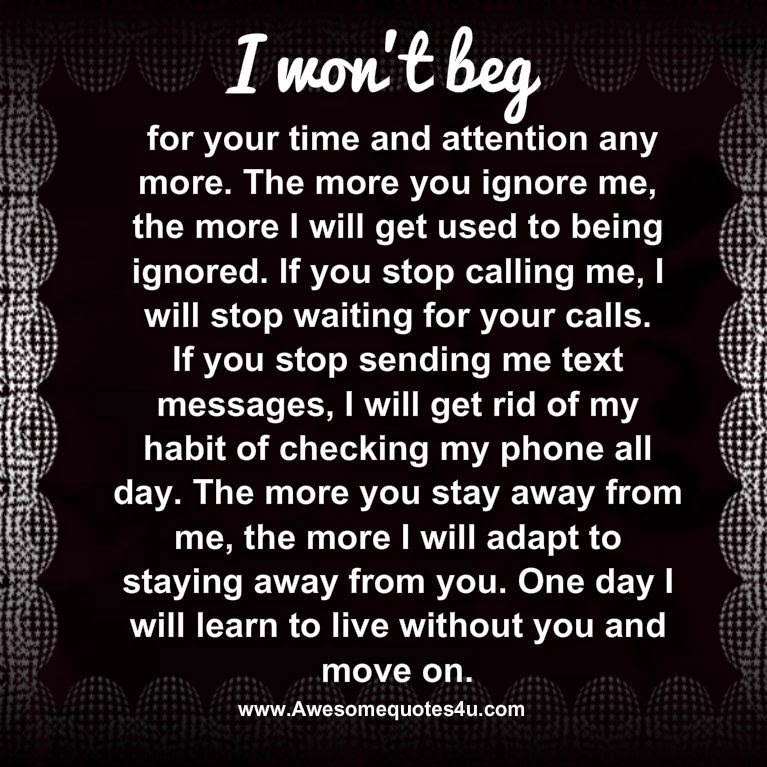 I won’t beg for your time and attention any more. The more you ignore me, the more I will get used to being ignored. If you stop calling me, I will stop waiting for your calls. If you stop sending me text messages, I will get rid of my habit of checking my phone all day. The more you stay away from me, the more I will adapt to staying away from you. One day I will learn to live without you and move on.